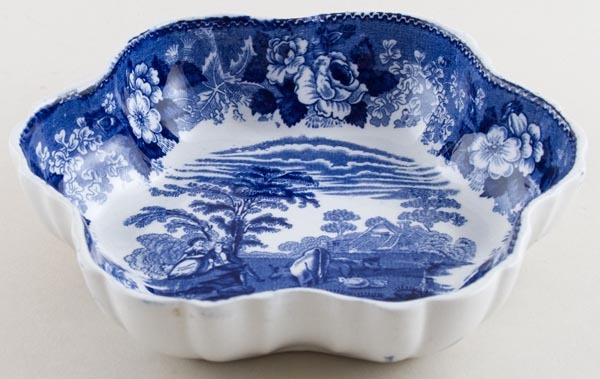 A very pretty dish with fluted wavy rim and pattern on the inside only. No backstamp. A few minor spots of discolouration inside otherwise excellent condition.